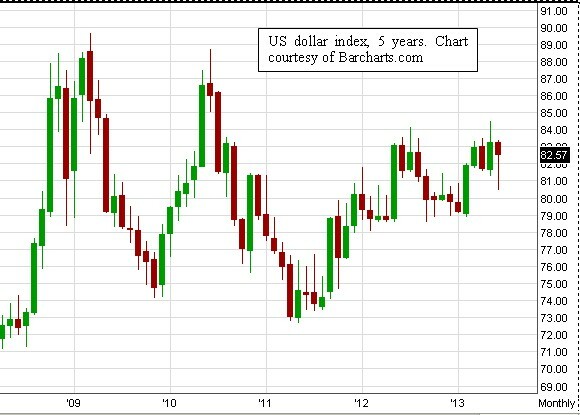 OmiCronFX : Can we take a strong US dollar for granted? What does a strong USD mean? Can we take a strong US dollar for granted? What does a strong USD mean? The U.S. Dollar Index (USDX) is a geometrically-averaged calculation of six currencies weighted against the U.S.dollar. The U.S. Dollar Index was created by the U.S. Federal Reserve in 1973. In 1944, just before the ending of World War II, the economies of the developed world made an agreement, called the Bretton Woods agreement, which ensured that their currencies had a fixed exchange rate against each other. When this agreement was scrapped and all currencies were allowed to float freely, the US Federal Reserve established the US Dollar Index in order to provide an external trade weighted average that measured the greenback against what were regarded as the most important global currencies. These included, at the time, the German Mark, the French franc, the Italian lira, the Dutch guilder and the Belgian franc. Those currencies have now all been incorporated into the Euro, which accounts for the relatively very high weighting of that currency in the index. And therein lies the problem. 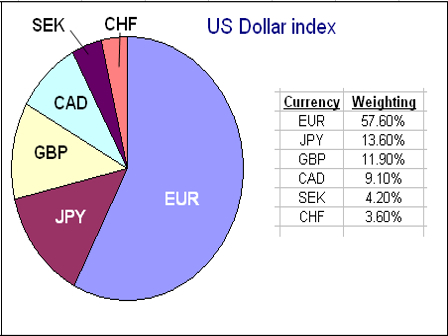 For starters, the value of the Euro against the greenback is such that it accounts for 57% of the value of the index. 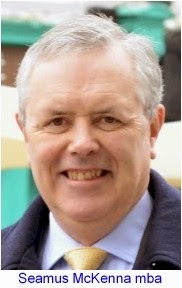 But the ECB, the body that makes the decisions that decide on the strength of the single currency, has its own agenda. So do the Japanese, the next largest force in the index. Very often these are opposing each other, cancelling each other out. All of this makes the value of the US dollar index, for traders, far less than it might appear to be on the surface.